Activision has announced that work has already begun on the next Destiny title. Though Bungie is hard at work supporting Destiny with a swath of additional content already, the game could already be seeing a sequel in the near future, if recent reports are any indication. According to Activision, the company is already hard at work on the next full game in the Destiny series. 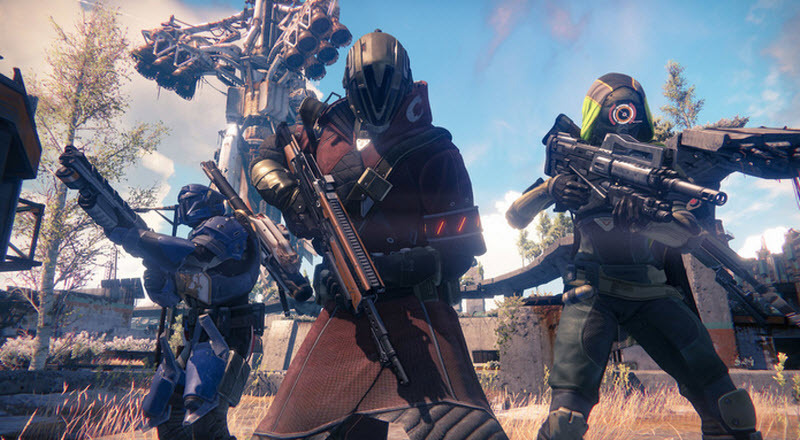 During a post-earnings financial call last week, Activision CEO Eric Hirshberg made the announcement, stating that additional expansion packs were underway as well, making the slate of future Destiny content quite full. For a game that's only celebrated a few months of having been available via retail, the fact that the next title is already being worked on is quite startling. Of course, Activision wasn't quite keen on spilling the beans about any additional information just yet. The simple fact that fans could be expecting Destiny 2 (or whatever it ends up being called) in the future already is news enough for many gamers, plenty of which are likely still wading around in the immense game universe. Have you completed the main campaign in Destiny yet? Are you already looking forward to heading back into that game world? Let us know in the comments below!